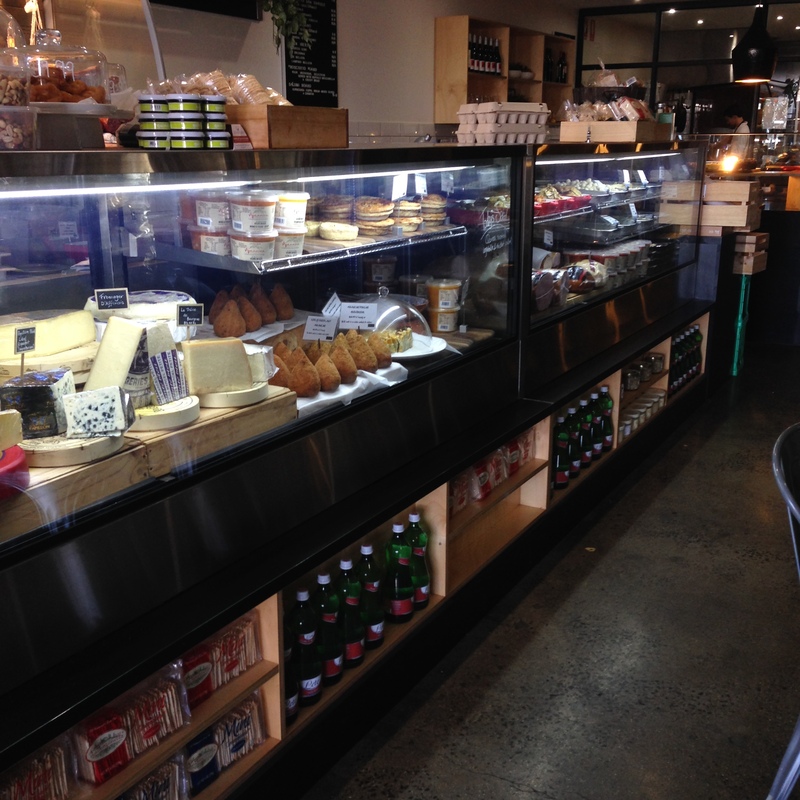 As I sat in my seat at Boccone Gourmet Foodstore enjoying lunch with my little man, I was amazed by the constant stream of people flowing in and out of the place despite the fact that it was nearly 3pm. 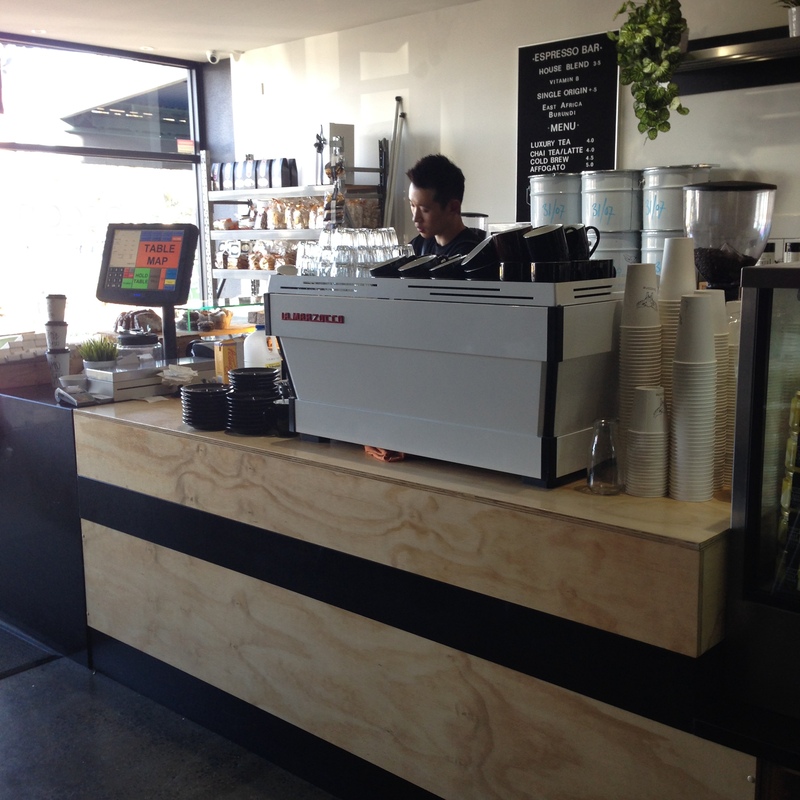 Situated in the super busy Mount Alexander Road shopping strip, this very popular Essendon café is clearly doing a roaring trade keeping the locals fed and caffeinated. Translated to English, ‘Boccone’ is a morsel, or a small bit of food, a word that very much defines this café. Offering limited, but high quality breakfast and lunch menus (although on the downside, breakfast is only served until midday), Boccone also doubles as a high quality Italian delicatessen offering take home bits and pieces like fresh cut cold meats, a variety of cheeses, super sized Arrancini and home made gnocchi. For anyone following my blog, you’d know I have one hell of a sweet tooth and I would usually forego the savoury lunch options in favour of pancakes or waffles, however I’d be lying if I said that I wasn’t disappointed Boccone didn’t offer any of these options. There was a sweet housemade crumpets option on the breakfast menu, but as that finished at midday I couldn’t give them a crack. 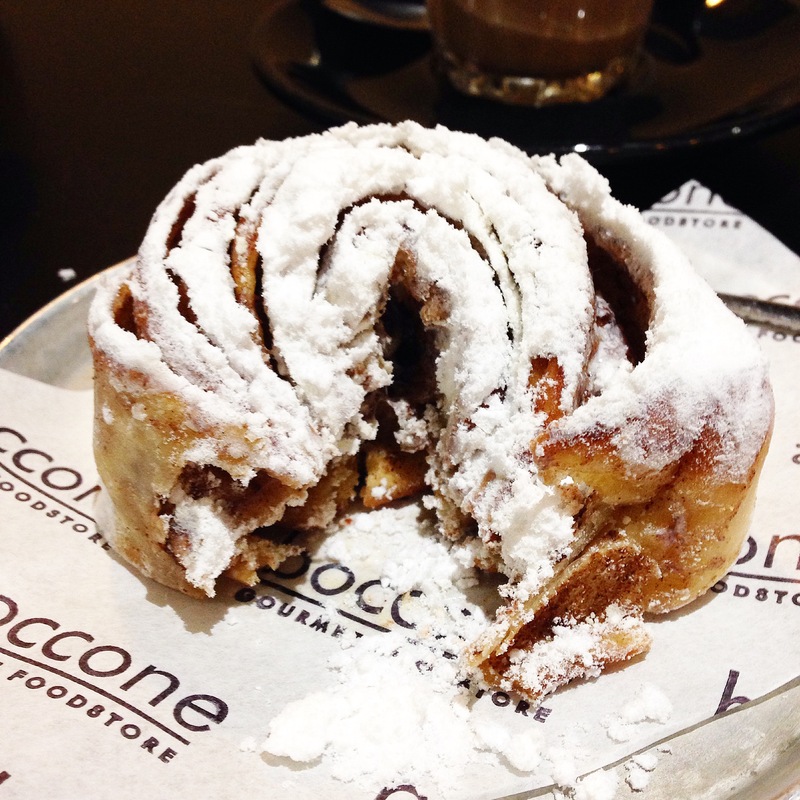 On the upside they do stock a great array of sweet treats including the famous scrolls from Sydney’s Oregano Bakery, so if I had to have a savoury lunch, I could always finish it off with a delicious cinnamon scroll. 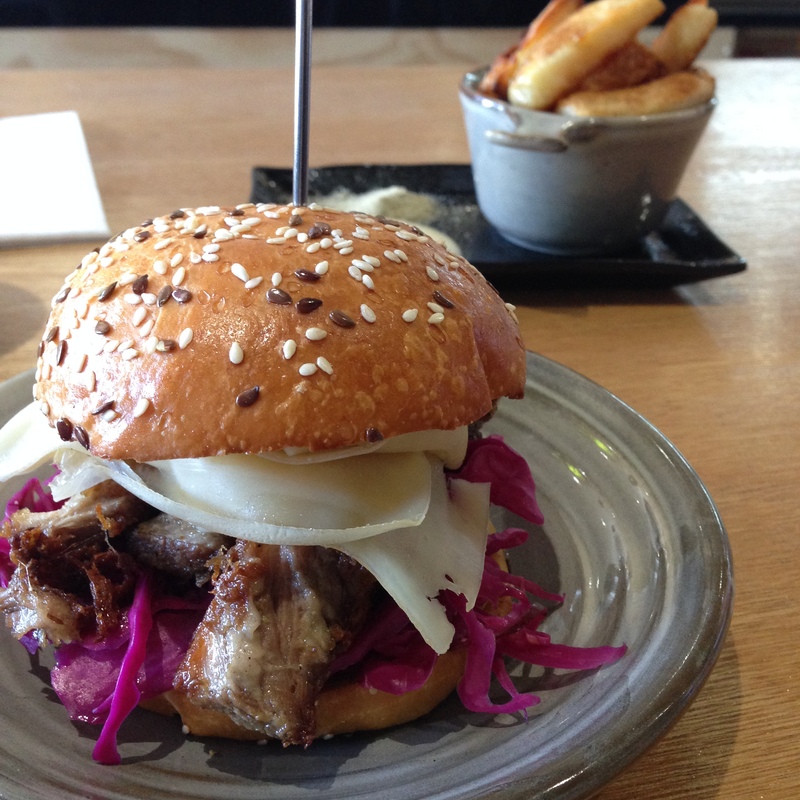 I ended up ordering the pulled pork brioche (with jalapeno mayo, red cabbage pickle and swiss cheese) plus a side of fat chips (with fennel salt and garlic aioli) for the little guy (and no, I don’t make a habit of feeding my kid chips, but there wasn’t anything else suitable for a one year old). It’s been ages since I enjoyed a great pulled pork burger and this one definitely reminded me of what I’ve been missing out on. The pork was soft, succulent and melted in my mouth. I was a little bit concerned that the jalapeno mayo would have a bit too much kick for me, but it was quite mild which suited me perfectly and really complemented the pork. The unexpected highlight was definitely those chips. 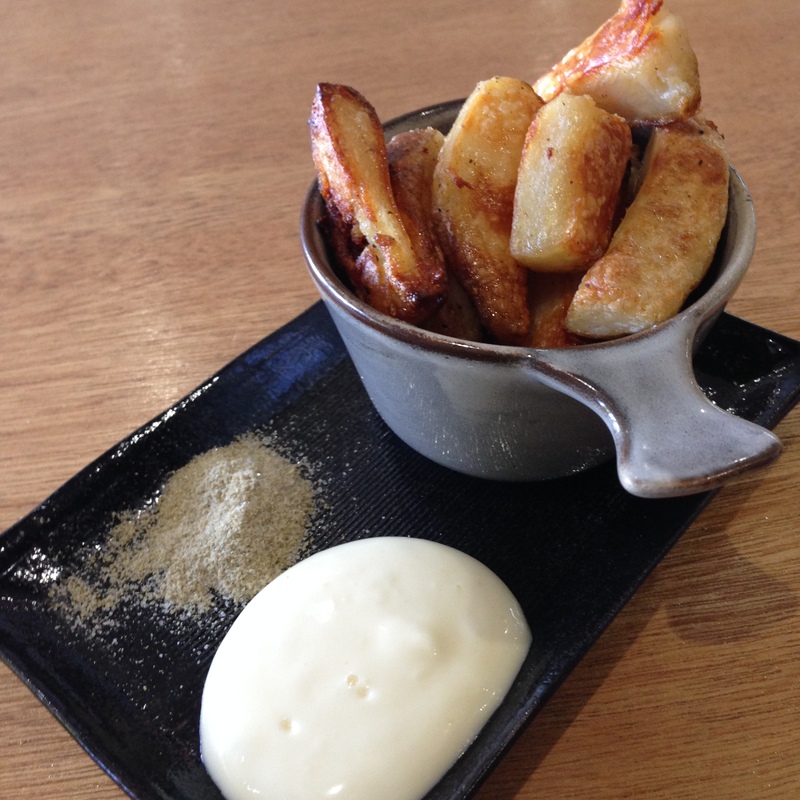 They were soft in the centre and really crispy on the outside (although a bit on the greasy side), just the way they’re supposed to be, but the best part was the fennel salt. OMG, it was absolutely divine and so addictive. I was so full but couldn’t stop eating them. So what’s the verdict? Although a little disappointed that their breakfast menu finished at midday (they should seriously rethink this), the pulled pork made me a bit nostalgic, so much so , I might just go back to ordering dishes with a bit less sugar in them.